In case you didn’t get the memo, Stirchley high street is gaining cool points at a rate that would make The Fonz ("eyyyy!") jealous. Adding to the unusual but we dgaf stretch of shops on Pershore Road is JoJo Wood and the Pathcarvers studio, offering wood whittling courses for beginners and experts. Who knew there were enough wood whittling experts in B30 to fill a classroom? Presuming you’re a novice, you can attend a short workshop to hone your knife skills or spend a day learning knife and axe skills and carving spoons to take home with you. "Girl I didn't know you could get down like that"
This isn’t your average (read: kinda dull) choir, SHE Choir is a network of free choirs for anyone that identifies as a woman. They perform a right ol’ mix of genres, from Alice Cooper to Destiny’s Child. And if that isn’t enough to convince you, how about the proven actual scientific benefits that singing in a group has on your mental health? In even better news, the B'ham cohort is having their first of their weekly meet ups at 5.45pm on April 30. Crucially you don’t have to audition, ideal for the embarrassingly enthusiastic but criminally tone-deaf, like moi. If you’re interested in going along, email them. The ancient artform of pottery is enjoying a revival, trendy earthenware is all over Instagram, see Helen Levi and Rachel Saunders. Add to that the increasing awareness of all things mental wellbeing and you get mindful pottery. Yup, that's a thing. Pottery's therapeutic potential has been embraced by Sundragon in Balsall Heath, their Mindful Wheelwork course has slightly longer sessions so students can enjoy the process and develop at their own pace. Some top tips for beginners, trim your nails. If they’re long they’ll get in the way and won't help you hone your best ceramic skillz. And make sure you invest in a good hand cream. Whether you want to do your bit to save the planet by helping the bee population, or just want to harvest your own honey – urban beekeeping is the answer. Just look at the roof of The Custard Factory, home to 50,000 bees, Bee9 urban honey and their hives. There are a few places locally where you can get an intro to the sweet divertissement. 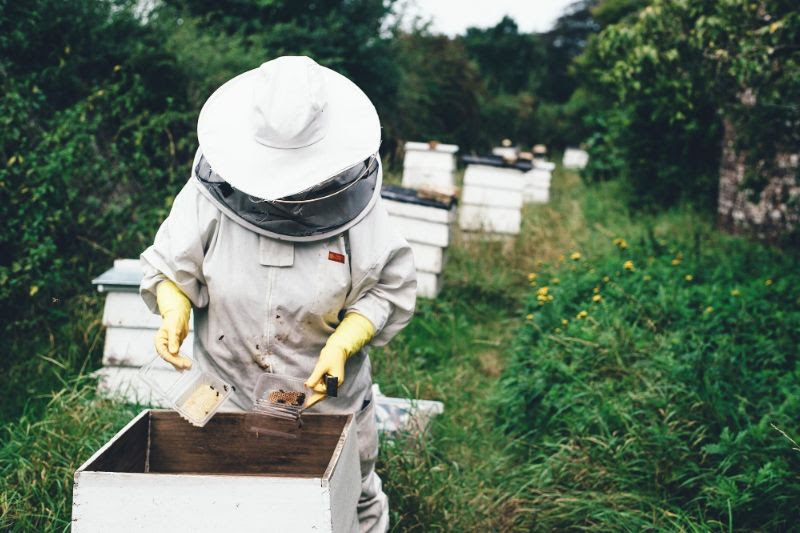 Winterbourne has a super popular six-week course for beginners where you learn firsthand how to set up and keep a hive, and harvest the honey. Martineau Gardens hold one-day taster courses throughout the summer starting in June. There’s another brand new meet-up starting this week if you’re of an arty persuasion. Or if you’re not. At the Artful Social you can unleash your inner Kahlo in their themed classes, or just go have a go, enjoy a bev (or two) and a chat at the same time. Absolutely no presh on the outcome. This ain't your GCSE final project, after all. Artful Social is all about having a go at different art forms every month and taking home a different masterpiece of your own making. All supplies are included, the first session is precisely zero pounds and conveniently happening tomorrow at the Custard Factory.